Every soccer club that is successful pay attention to all aspects of the game of soccer. Clubs like the Nepean Hotspurs will go the extra mile to make contributions to the sport for its betterment. One of the many ways that they do this is by offering training programs such as the referee course. Perhaps one of the least liked participants in a game of soccer is the referee. But, that will depend on who the referee is ruling in favour of. In any event, the game of soccer would not be what it is today without the participation of these soccer officials. Many of those who enter this profession whether on an amateur or professional level do so because of their love for the sport. To become a Soccer referee there is a requirement for proper education along with a series of steps that must be completed by the interested person. With the first step being to learn the FIFA laws. This will be a pre-requisite for those who want to take part in the Hotspurs course. There is also a pre-course workbook that must be completed before applicants are accepted into the course. Aside from learning the game rules which the referee must enforce, there are characteristics that a referee must possess. A good referee must possess integrity which is going to allow them to remain impartial. Referees cannot have favourite teams or players. They must referee the game with impartiality, and make their calls based on the rules. Good communication skills are another must for the soccer referee. They must be clear in expressing their calls. They also must be able to control their emotions as no doubt there will be moments where they will not be the favorite participant in the game. Bringing attention to any sport is important, and part of the responsibility for doing this lies with the fans. For this reason, we as the fans of the Nepean Hotspurs, have risen to the challenge of creating a fan club for this particular club, because we believe in all that it stands for. The Nepean Hotspurs play a significant role in the community and are an important asset to the sports industry in general. We felt that we as fans have the responsibility to both soccer as a sport, and specifically, as enthusiasts of this particular soccer club. There are many ways that fans and businesses can contribute to the game of soccer. Each of these contributions plays an important role in the sport. Our choice has been to create a fan site for the Nepean Hotspurs; not only to support the club but to act as a portal where fans can find out more about this team and become part of it in their own way. We intend to follow this soccer club, and report back on the highlights, as they present themselves. It is also our goal to create awareness of the club, as it continues to act as a not for profit organisation. This is important not only for the fans but for all those within the community, who wish to participate in this fantastic game, at various levels. We hope that with fan support, that it will serve as our way of showing our appreciation for the Nepean Hotspurs. 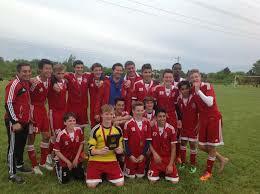 There are many different sports clubs which includes an array of soccer clubs. Clubs like the Nepean Hotspurs rely heavily on volunteers as they are a not for profit organisation. Fans need to realise the importance of this. When they do, it may create an interest in them to volunteer their services to the club or at the very least form an appreciation for the volunteers that play an important role in what makes this club such a good one. Fans benefit greatly from the what the volunteers do. When a soccer club is a not for profit organisation, they have limited funds to work with. The volunteers play a big role in helping to keep the costs down. They do this in a variety of different ways. Any fan that has an interest in this club or any other club that relies on volunteers can go through the club’s process for accepting volunteers. Often this is made up of a collection of parents, as well as fans. 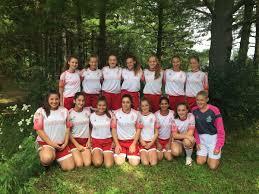 A top quality soccer club like the Nepean Hotspurs will have a set process in place for the accepting volunteers. This is because the soccer clubs like this have a reputation to uphold, and they only want credible individuals affiliated with their club. This is for the protection of the entire club. A standard process will include submitting an application and being subject to a screening profile. Clubs like the Nepean Hotspurs truly appreciate their volunteers and recognise their importance. Welcome to the Nepean Hotspurs Fan Club! This site is a portal for all the great fans that have an interest in this excellent soccer club. It also is meant to act as an encouragement for more fans to become part of what the Hotspurs has to offer. The Hotspurs is a soccer club that has been in existence for more than forty-five years. It has the mandate of providing access to soccer play both on a recreational and competitive level. The club does not make a profit as an organisation and relies heavily on both the volunteers and its fan base for its success. 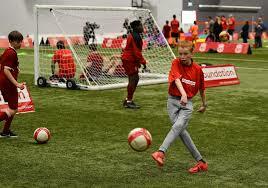 The club has played an important role in the sporting industry for the community as it offers some excellent opportunities for soccer playing to a variety of age groups as well as genders. One of our purposes is to keep fans informed as to what is going on in the club but more than that it is our wish to draw attention to what we consider to be an amazing soccer club. To achieve this, we have started out with some information on very important topics. In order for this soccer club to remain in effect, it has to rely on soccer players who are enthusiastic about the game. We intend to support the try-outs that the Hotspurs offer at different times during the year. The players are the backbone of the club, and we as fans are intent on creating awareness. As fans, we are most impressed with what this club has to offer by way of soccer education. To highlight this, we have talked about the club’s coaching mentorship programme, as well as education for soccer referees. 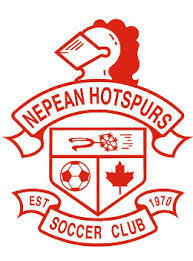 Hopefully, as a result of what we have to offer here, you too now will become a fan of the Nepean Hotspurs.